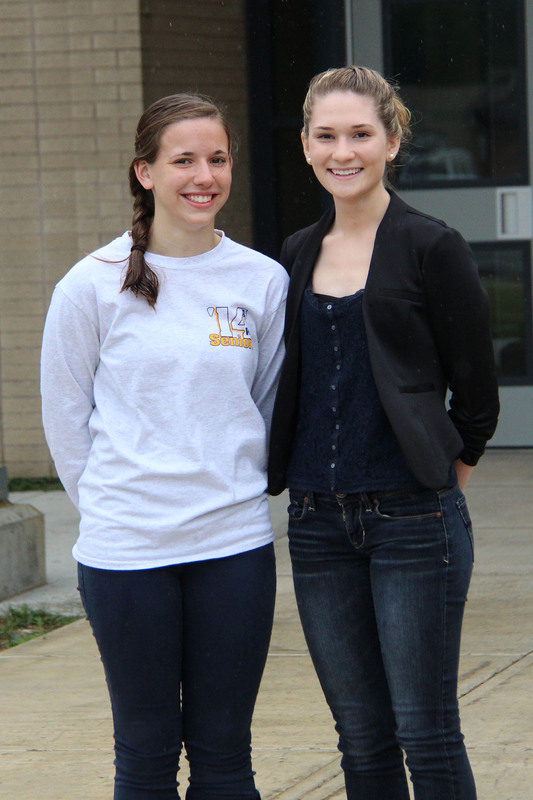 Kaylee Schreyer and Rachael Thormann have earned outstanding distinctions as the top two students of the Altmar-Parish-Williamstown Senior High School Class of 2014. Rachael Thormann, left, and Kaylee Schreyer, seniors at APW Senior High School, have earned this year’s title of salutatorian and valedictorian. With only a 0.2 difference in their grade point average Schreyer was named the class valedictorian while Thormann earned the title of salutatorian. Schreyer is the daughter of Dana and Robin Schreyer. She has an overall GPA of 98.6, is an honor graduate student and has earned 26 college credits during her high school career that she can apply towards her post-secondary degree. She is a member of the APW Chapter of the National Honor Society and served as the chapter’s treasurer during her senior year. Schreyer also served as a class officer during her 10th, 11th, and 12th grade years, holding the position of secretary during 10th grade and then co-treasurer during 11th and 12th grades. She participated in interscholastic athletics while at the high school, playing on the softball, soccer and volleyball teams. Schreyer will be attending Morrisville State College in the fall where she will pursue a degree in architectural studies and design. She credits her father and the district’s technology teachers for sparking her interest in the field architecture. “I was pretty much the only girl in Mr. Dennison’s DDP (Drawing, Design and Print) class back in 8th grade. I really liked that class and I just kept taking all of the technology classes that I could take,” she said, indicating that crafting her own model airplane in 10th grade was a highlight as well as learning CAD software during her senior year. Thormann is the daughter of Rich and Roxane Thormann. She has an overall GPA of 98.4, is an honor graduate student and has earned 30 college credits during her high school career than she can apply towards her post-secondary degree. She is a member of the APW Chapter of the National Honor Society and served as the chapter’s vice president during her senior year. Thormann also served as a class officer during all four of her high school years and is currently the class president. She ran track, played volleyball and soccer and earned the second team all-league award for soccer during her junior year. Thormann also participated in the Oswego County Envirothon Competition and was involved in marching band. Her favorite subject throughout school was mathematics and she will study applied mathematics at RIT in the fall.